The DONNA CareLine serves uninsured and insured patients all across the country at no charge to help overcome and resolve insurance-related and financial obstacles that impact care. Data collected on behalf The DONNA Foundation reflects almost 67% of the families requesting assistance have an annual income of less than $23,000. DONNA CareLine recipients face a wide scope of challenges ranging from access to or no care issues, insurance denials, transportation expenses and cost of living debt. We provide specific case management services to patients, caregivers and/or their providers. The CareLine is staffed by a team of professional case managers with both nursing and social work backgrounds, and non-clinical case managers who have an insurance industry background with coding and billing expertise. Using their knowledge of reimbursement issues, the purpose of this dedicated team is to help patients diagnosed with breast cancer with navigating a variety of issues they may be facing. Thus minimizing stressors in a patient’s life, allowing them to focus their positive energies on getting better. Screening for the DONNA Financial Aid Fund providing small grants to help offset expenses related to care. Call (877) 236-6626 or click to get help now. The DONNA Foundation is committed to funding ground breaking breast cancer research, including the widely publicized Triple Negative Breast Cancer Vaccine Trials. 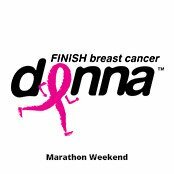 Each year The DONNA Foundation raises funds, through DONNA Marathon Weekend, allocated to Research Disbursement. From an initial contribution from The DONNA Foundation to Mayo Clinic of more than $500,000 in 2008, Mayo Clinic established its Breast Cancer Translational Genomics Research Program. Ongoing contributions from The DONNA Foundation, as of April 2016 totaling more than $3 million, allow Mayo Clinic to build and maintain genomics infrastructure in Jacksonville, Florida. Making it possible for laboratory teams not only to carry out state of the art breast cancer research, including the widely publicized Triple Negative Breast Cancer Vaccine Trials, but also provide genomics support for studies in all cancers. The DONNA Foundation is committed to providing programs for education and awareness of important topics of health, wellness and living with breast cancer. The DONNA Foundation partners with likeminded organizations to participate in panel discussions, symposiums, health fairs, and other informational outlets. Each February, The DONNA Foundation hosts a two-day Health & Fitness Expo in Downtown Jacksonville, Florida. This event features many of the top pharmaceutical companies and healthcare providers committed to the care and support of breast cancer patients and their families. More than 20,000 visitors from around the country participate in the event, engaging with educators and interactive displays. Thanks to the generosity of event sponsors, this two-day educational program is free and open to the public. Throughout the year, the Foundation’s namesake and Chief Eternal Optimist (CEO) Donna Deegan participates in The DONNA Foundation’s Speaker’s Bureau. Her motivational message highlights her experience as a three-time breast cancer survivor, and encourages all with life altering challenges to change their perspective from one of fear to one of love. Donna is the author of two memoirs, The Good Fight, a chronicle of her own breast cancer treatment and recovery, and Through Rose Colored Glasses, a Marathon from Fear to Love. Interested in having Donna speak at your event? Contact us for fees and availability. 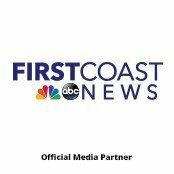 The Foundation also provides staff and educational materials for numerous community events ranging from health fairs to breast cancer awareness rallies.